This book makes exam preparation a whole lot easier! This is the Blue Book counselors are talking so much about. 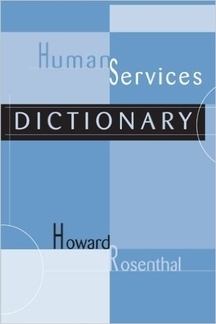 360 pages with definitions intentionally worded to help you answer typical questions you will find on comprehensive exams. Counselors love this gem and you will too. The hook of the book is that it makes difficult concepts extremely easy to comprehend even if you have been out of school for an extended period of time. Finally, definitions that actually make sense and take the sting out of prototype exam questions. Simply put, this top seller makes NCE, CPCE, licensing exams, orals, written boards, and comps a whole lot easier. Perfect for counselors who already own the Encyclopedia of Counseling and the 20 audio CDs. FREE INNER CIRCLE MEMBERSHIP with updates on the DSM 5, new ethics, and more. Nobody else in the world offers this benefit! $35.00 FREE SHIPPING. No hidden delivery charges.